Have you asked your customers this question? First, what do you think they'll say? Now, ask them. You'll be surprised what you learn. Customers are looking for products and services to make their lives simpler, easier, and save them time. Show the consumer that you understand their needs, put them first and you'll have a customer for life. Do not assume all customers want the same thing. Have a 360-degree view of the customer for all your employees so everyone in your company can let your customers know you're concerned with their needs and wants and committed to providing them with a great customer experience. 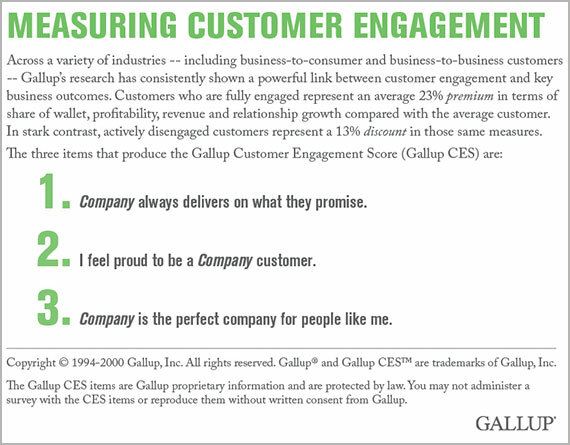 Providng a great customer experience and earning customers for life needs to be a core value. If it's not you'll just be driven by this month's sales goals. If you put your customers first, sales will take care of themselves and the time and money you spend on marketing will go down because your customers will do your marketing for you by becoming advocates and sharing with their friends and colleagues how easy you make it for them. Please be clear when I say "provide a great customer experience" that this isn't that hard. It's meeting customers' basic expectations. It's easy because so few companies are doing it. Ultimately this will be how your company can differentiate itself from the competition. However, it does require a change in attitude and focus. Remove the distractions (a.k.a. "friction") for your employees and customers. Employees want to make customers happy. Happy employees make happy customers. Engaged and empowered employees have passion, pride, and confidence in their ability to provide a great customer experience and customers call tell it. Think about the companies you go to on a regular basis that make it easy for you to do business with them. They've likely earned your loyalty, gratitude, and repeat business. What can you and your employees do to make it easier for your customers to do business with you? Ask them.